Croatia beat Cameroon 4-0 in their World Cup 2014 match on Wednesday. 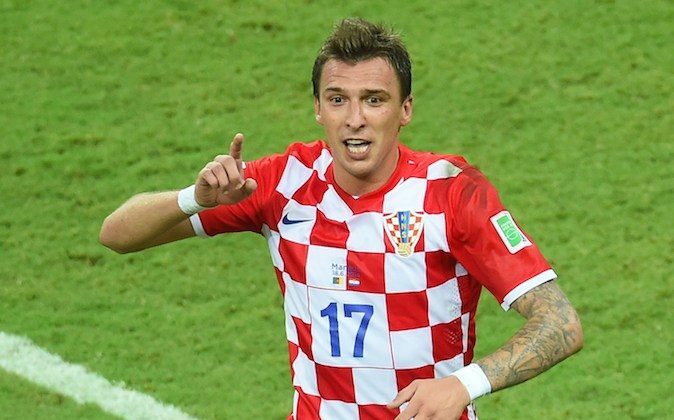 Mario Mandzukic scored two goals, one in the 61st minute and the other in the 73rd minute, to keep Croatia in the hunt at the World Cup. Teammate Ivan Perisic also scored one goal and made another for Ivica Olic. On the other hand, Cameroon was reduced to 10 men after midfielder Alex Song was given a red card in the 40th minute for elbowing Mandzukic in the back. Cameroon’s talismanic striker Samuel Eto’o was not fit enough to make the squad. Mario Mandžukić scored two goals for Croatia. The Bayern Munich striker powered in a header from the center of the box to the bottom left corner in the 61st minute. Check out a video of Mandžukić’s goal. The 28-year-old struck again for Croatia in the 73rd minute with a simple tap in. Ivan Perišić scored for Croatia to make it 2-0 to Cameroon in the 48th minute. The 26-year-old rifled a shot in the left near post. Check out a video of the goal below. Alex Song got a red card for hitting Mario Mandžukić. Ivica Olic scored for Croatia in the 11th minute against Cameroon. Check out a video of his goal. Here is an AP article on Wednesday’s matches.